Thank you to the almost 14,000 voters who made their voices heard on Tuesday and to all of the candidates who ran for citywide office. The huge voter turnout showed us how passionate the people of our city are when it comes to shaping Medford’s future. We saw this in the voting booths, at the debates, and from hundreds of volunteers. The people of Medford were deeply involved in deciding how we build a better future for our children and our city. We need to make sure that everyone stays involved now that the election is over. My campaign slogan was “Partners in Progress.” Those words are my philosophy for how we can open the next chapter in our city’s great history. From now until the end of my service as your Mayor, I promise that I will work with the community to find the best solutions to any challenges that we face, and that we will move this city forward together. As I said throughout my campaign, we all live in Medford because it is a wonderful place to raise a family, make friends, and be a part of a larger community. I will fight to make Medford an even more inclusive and accepting place for all of our neighbors. We will work to further Medford as a destination for families and businesses through economic development. We will make sure our children are safe by improving traffic patterns at major intersections. We will build off of the great advances we have made for our entire school system over the past 15 years. And we will make sure that the Green Line Extension comes to Medford efficiently, while maintaining the billions of dollars of investments planned in the GLX corridor. Medford stands to gain the most from this election by making sure that the thousands of people who volunteered and voted stay involved in making Medford a better place for everyone. Now the work begins. I’m honored by the opportunity to chart the course for our future, to be partners in progress with you, and to serve this community as a Mayor for all. 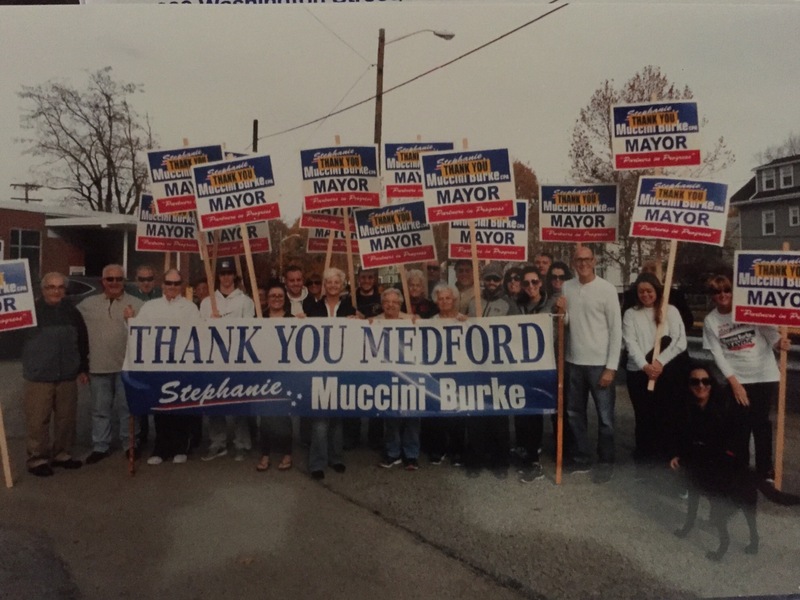 Please continue to offer your thoughts, inspiration, and dedication as we work to move Medford forward together!